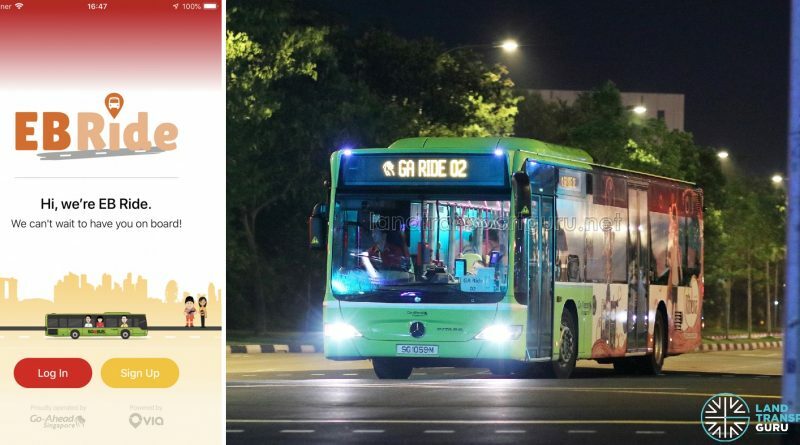 In Late March 2019, Go-Ahead Singapore launched EB Ride, an On-Demand Bus Service for its Employees. 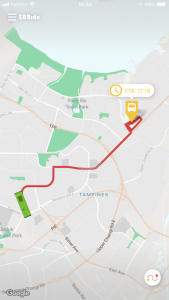 The EB Ride platform is developed by Via Transportation, Inc., which uses an adaptation of the software and hardware solutions that manage the On-Demand Public Bus (Joo Koon) trial via the BusGo app. 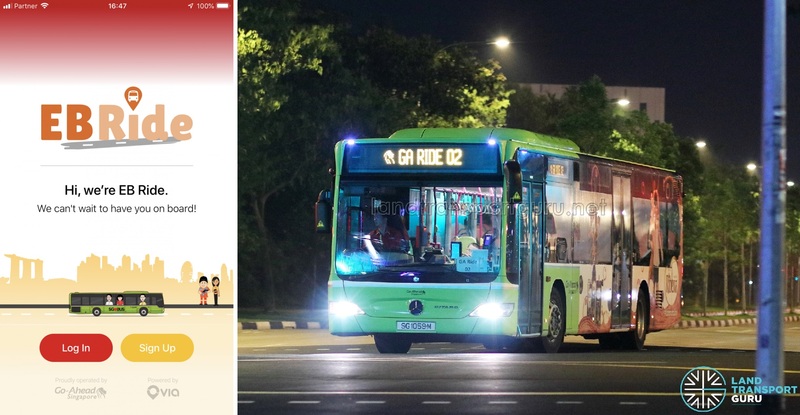 Via Transportation was awarded two contracts by the Land Transport Authority (LTA) in 2018, as part of the On-Demand Public Bus trial. 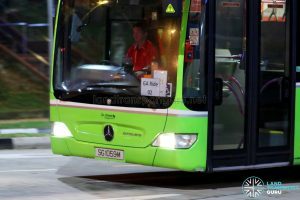 The company developed software and hardware solutions for the ODPB system, including a dynamic matching and routing algorithm, mobile apps for commuters and bus captains, and back-end tools required to monitor services. 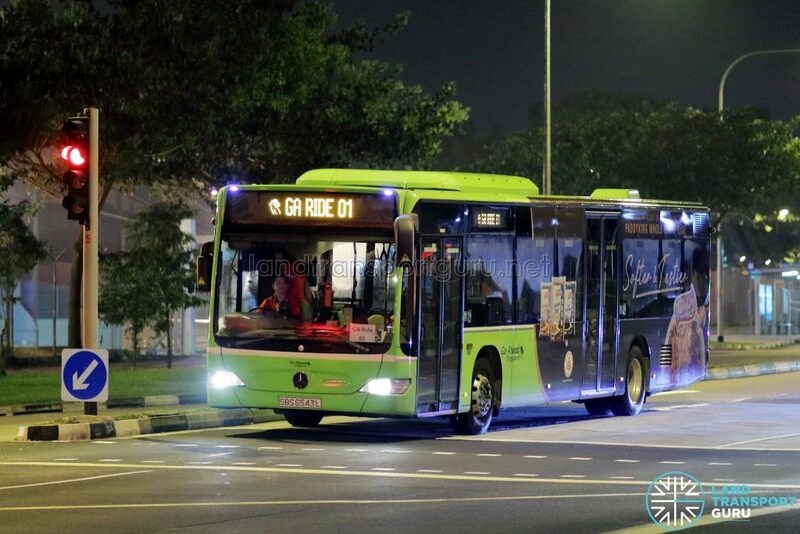 Go-Ahead Singapore operates eight fixed-route Employee Bus Services (GA 1 to GA 8), which run multiple trips during the early hours of the morning, ferrying Bus Captains between Loyang Bus Depot and their homes around different parts Singapore. 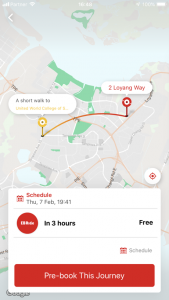 With the introduction of EB Ride, the application generates a dynamic routing between bus stops where Go-Ahead Employees need to get on or get off, which in turn saves time by sending employees home faster and reduces their travelling time to Loyang Bus Depot. 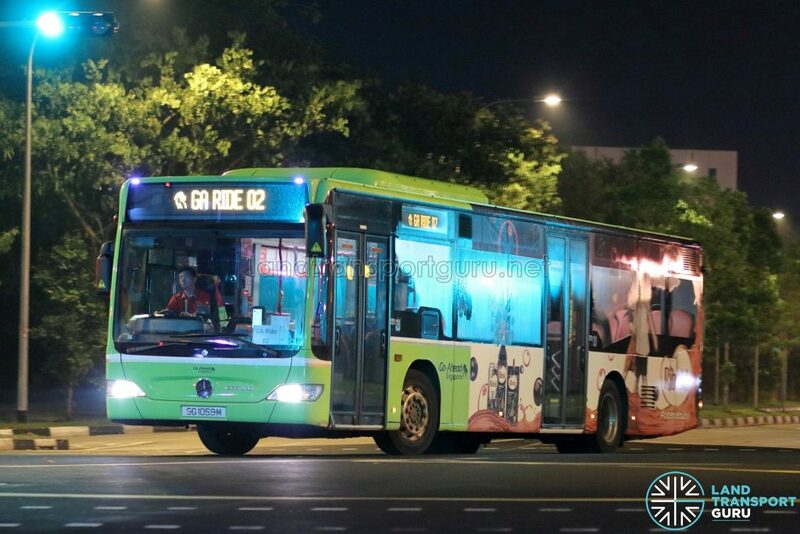 The service operates from 0000hrs to 0630hrs daily. The service is only available to employees of Go-Ahead Singapore, and is offered free of charge. Users must first download the EB Ride application from either the Google Play Store or Apple App Store and follow the in-app instructions to register for an account. Sign-ups require login credentials that are provided only to company employees. To ensure that only Go-Ahead Singapore employees sign up for EB Ride, an admin verifies the data and provides the login account details (e-mail and password) separately to the employee. To make a booking, users must select their pick-up/drop-off location as Loyang Bus Depot and their home address through a drop-pin or manual entry field. In addition, a timing to depart/arrive Loyang Depot must be selected. Bookings must be made by 1600hrs the same day for both outbound services (leaving Loyang Depot) and inbound services (towards Loyang Depot) the following morning. A notification on the pick-up time and location for inbound trips would be issued at around 1900hrs the same day. From Loyang Depot, pick-ups start from 0000hrs for outbound trips, and the last inbound trip reaches Loyang Depot at 0630hrs. 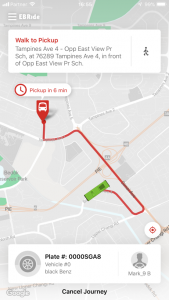 Employees are able to track the bus in real time in the app when it is on the way to pick them up. The EB Ride Services are numbered from GA Ride 01, GA Ride 02, etc. During the initial rollout, several negative reviews were left on the Google Play Store. everyday different pick up point, the EB ride given us so much trouble and inconvenience. they think every night we are so free to search the location for the bus stop and walk along distance to get free transportation to work. what is the purpose for this EB ride? By giving the BC convenient or create problems for the BC, everyday has to worry which bus stop to take bus. everyday different bus stop what a stupid app. 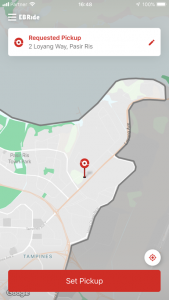 With the dynamic routing algorithm, employees who are used to having Employee Bus Services at a fixed bus stop may instead be directed to a different bus stop which could be slightly further away from their home. 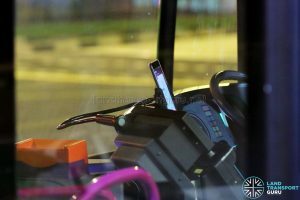 Similar to the On-Demand Public Bus (Joo Koon) service, buses are equipped with a tablet device running a Driver Version of the On-Demand Application. The app provides Bus Captains with travel directions and bus stop locations. 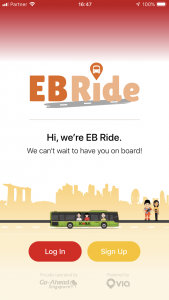 From Sunday 31 March 2019, the EB Ride service was scaled down to only serve Punggol, Pasir Ris and Changi Village to “provide high quality of service to riders” [sic]. 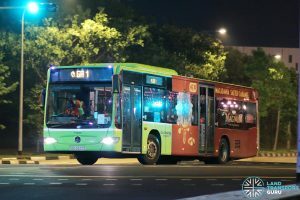 On the same night, all original employee bus services resumed service to cater to Employees living in other areas or who are unable to book an EB Ride service. Looks like it’s no good when there are commercials on the bus. Really looks sub-standard.